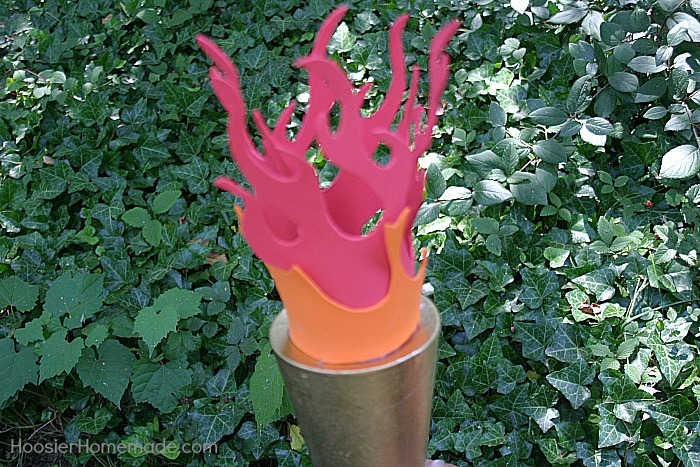 Celebrate the Olympic Games with this fun Olympic Torch! 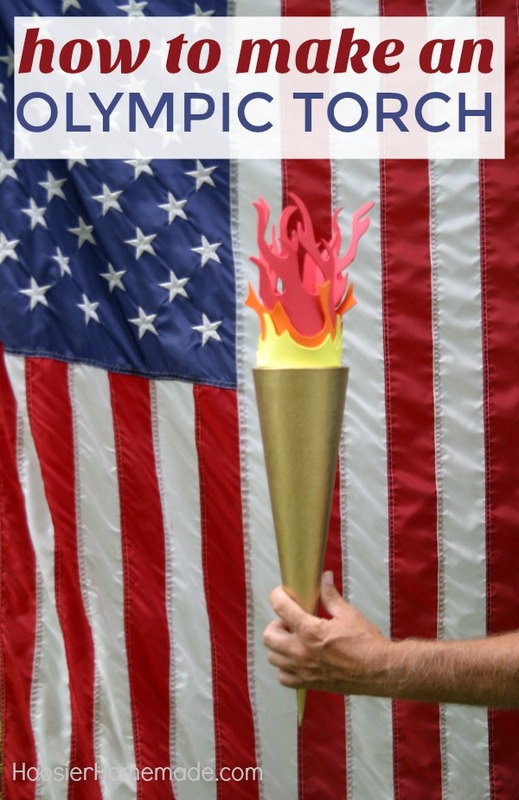 Learn how to make an Olympic Torch! The kids can help make it too! The Olympic Games are a big part of our family. We love watching them from the opening to closing ceremonies. 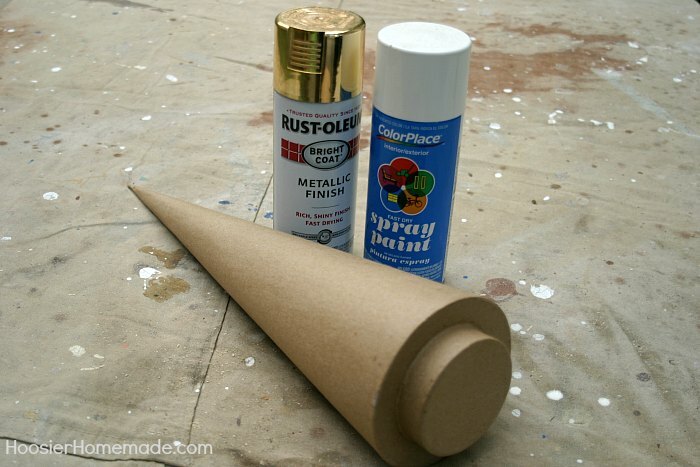 This easy to make Olympic Torch will add lots of fun to your celebration. First, you will need to spray paint the handle of the torch. We found this cone shape at Hobby Lobby, and it worked out perfectly. 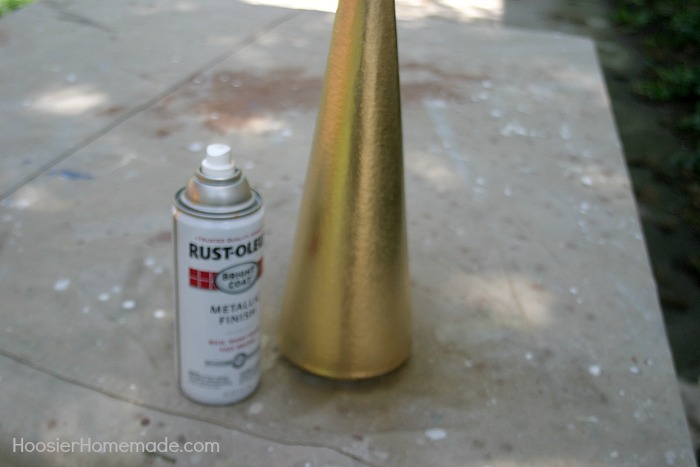 Doug used white paint as a primer, and Rustoleum Metallic Gold for the finish. Working outside or in a well vented area, cover the cone with white paint. Let dry, about 30 minutes or until not tacky. Then coat with gold spray paint, again, letting dry completely. While the torch handle is drying, you can work on the flames. We used craft foam sheets, and they worked great. First you will need to either draw the flames on to the foam, if you are an artist, or if you are like me, I needed a template. 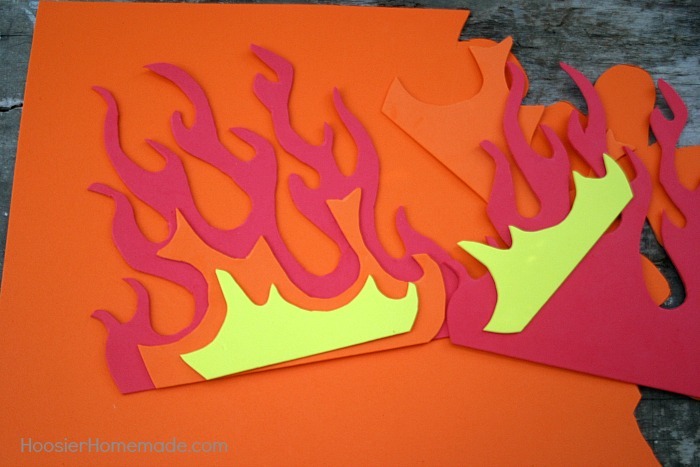 Print out the template, cut out each color of flames, and trace on to the foam. Then cut them out. For the cone we used, we needed 2 each of red and orange and 3 yellow flames. 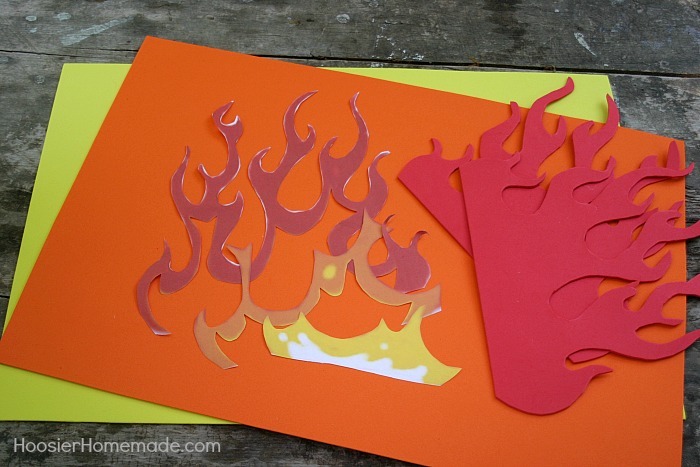 Then using a hot glue gun, attach the flames, starting with red, and then adding the orange so that the flames are alternating a bit. Then add the yellow flames. Join us for an Olympic Celebration! Using the foam is soooo smart! Great way to make sure it holds form. Thanks for sharing your awesome DIY with us at Merry Monday this week! 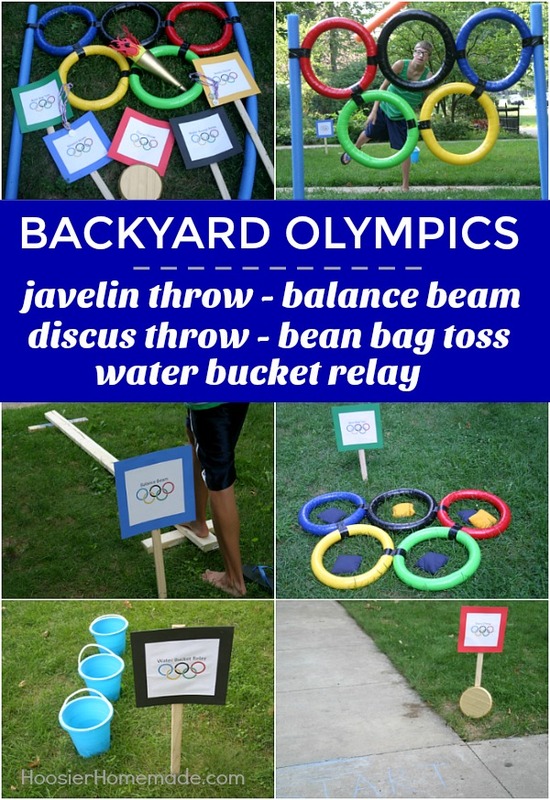 What a fun idea – I’m ready for the Olympic Party now!! Would love to have you share this on the Pleasures of the NW’s DIY party! Thank you for the Olympic torch. We are doing the Olympics as our VBS theme. Gracias me fue muy útil lo hice y quedó hermosa. Oh I really love this – my kids would LOVE this! Thanks for the fantastic idea! What a great idea — so clever and simple! This torch looks absolutely fabulous. 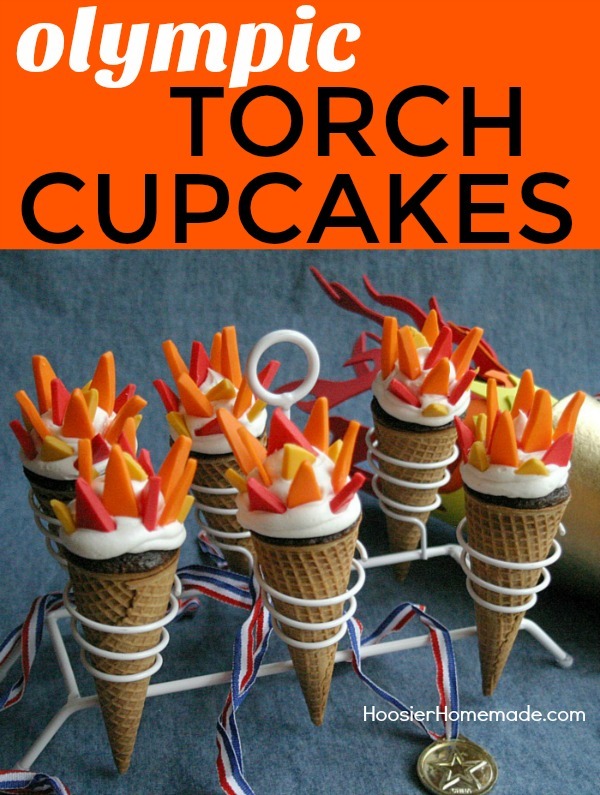 I’ve seen a few torch ideas, but this is definitely the best one! 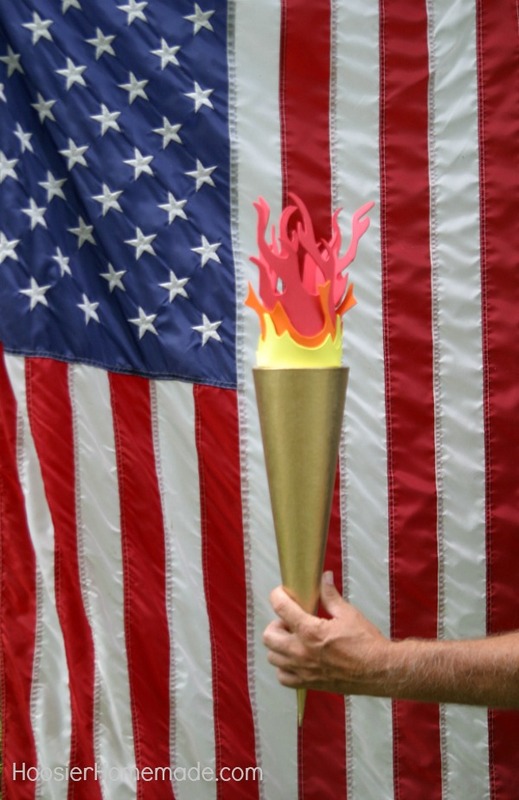 LOVE the Olympic Torch that you made…super cute idea. The cone that you used, you said you got at hobby lobby, what section or what would that cone be used for normally so I have an idea of where to look. Thanks so much for your fantastic ideas! Thanks Eileen, we found it in the middle aisle, near the back and near the wood crafts. They had all different types of shapes, not sure what it would normally be used for. Hope that helps! Love the idea of Olympic week! I LOVE the Olympics, and I am DYING to know where you got that shirt. Hi Allison, I bought the Olympic shirt at Rue 21. So glad you like Olympic Week! Thanks! This was actually the first thing I checked when I turned on my computer this morning!